When my back went out in my early twenties, I was amazed at how immobilized I was. I had no idea that I used my back for so many (seemingly simple) things. But lying on my back on the floor, barely able to move, I had a new respect for low back health. For me this was a one-time episode. I was young, I didn’t have a structural issue, and my back healed. Reflecting on it now, I think it was caused by a combination of stress and poor waitressing skills – though at the time I wasn’t aware of stress as a factor. As I look back, I’m also aware of how lucky I am. 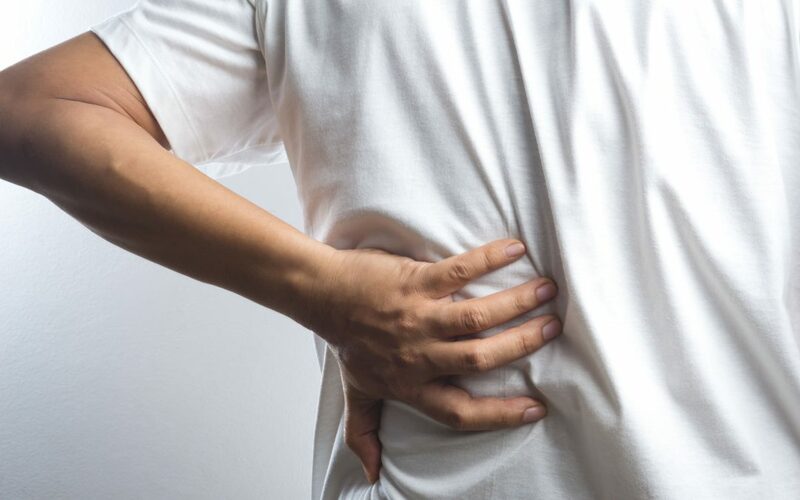 For many people, low back pain is chronic. Chronic pain causes additional stress, fear, and restriction. When we’re in pain, we seek to avoid it. We may avoid activities that might cause pain, we worry about conditions outside of our control that might aggravate our backs. We see a variety of health providers to help – doctors, chiropractors, massage therapists, physiotherapists. But it can be difficult to know how we can help ourselves. Yoga therapy offers a unique approach to back pain. Gently strengthening and stretching muscles of the low back and building core strength is part of the approach. Caring for the nervous system by engaging in breathing and meditation techniques helps to reduce the stress we experience with chronic pain. Learning about anatomy and reflecting on habits that help or hinder low back health is useful to build awareness and see our situation more clearly. Once we learn the techniques (postures, breathing practices, relaxation, meditation) we can practice on our own. We can use these practices as tools for our own healing. I’ve been teaching the Essential Low Back Program since 2013. This program is based on a study done in the US by the National Institutes of Health that showed that this yoga helps reduce chronic low back pain. One of the things I love most about teaching this program is the transformation that takes place. People shift from being afraid of movement to gentle exploration and then to confidence within weeks of practice as they get stronger. They discover practices they can do for preventative work and practices to release tense muscles at the end of the day. Some people discover habits they did not realize were contributing to instability in their backs. They take what they learn in this practice and make it their own. Though it is “evidence based”, the best evidence is what you experience personally. Do you have chronic low back pain? Are you ready to tend it through yoga?